I'm excited about our band this weekend. They've got a fluid, festive sound to their bluesy grooves. I think you'll enjoy it. 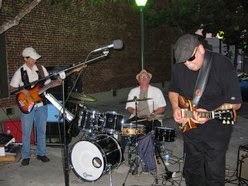 You can check out their music at Black Cat Blues Band. Don't forget about BBQ lunch, wine and hard cider tasting and our new shops. The weather will be perfect.